In response to civil unrest in Bhutan, eight-year old Mukti Bhurtel and his family fled to Nepal with nothing but the clothes on their backs. Leaving behind their old lives, they found refuge in Beldangi Refugee Camp. While in Beldangi, Mukti attended school and was quickly singled out as a leader among his peers. His teachers recruited him to assist with school health programs and, eventually, Mukti became a teacher himself. 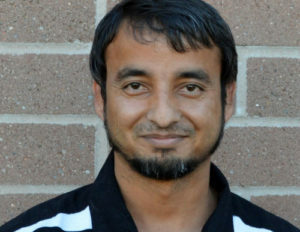 After 17 years in the camp, Mukti was resettled in Salt Lake City. He now inspires our local community through his work as a job developer on our Employment Services team. In this position, Mukti helps refugees learn job search skills and secure employment.